You have heard so much about the Red Sea? None of the itinerary is fitting with your idea about your safari? You want to do snorkeling or learn diving? You are just a newly certified diver and looking for suitable trip? You look for a family trip with children, fun and relaxed diving? You are not sure which time will be the best to visit the Red Sea? A la Carte is an individual planned safari starting and ending in Sharm El Sheikh. 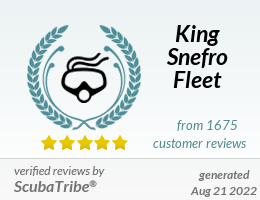 Let our long standing experience in the Red Sea become your advantage. Ask us for arrangements and suggestions. We will plan your tailor made trip concentrating on your individual request. Just give us an idea of what you would like to do! Safari: Your safari will be able to cover the area of Nuweiba, Taba, Dahab, Strait of Tiran, Ras Mohamed National Park to the Gulf of Suez and even further south. With more than a hundred sites to be visited we will find the one that fits you most. Wreck Lovers: The wrecks of Dunraven and Thistlegorm are not far away, also Shag Rock and the wreck of the Kingston. Sail to Sha'ab Ali where shoals of dolphins are common, explore several spots at Sha'ab Mahmouds reef system and Abu Nuhas. A paradise for wreck lovers which is best known for the abundance of ancient and modern wrecks that lie here: Giannis D, Carnatic. Christoula K and Kimon M.
Summertime: Don't miss the four famous reefs in the Strait of Tiran: Jackson, Thomas, Woodhouse and Gordon Reef. New added, the so called Deep North, the safari will take you where only a very few or no boats can be seen! This expedition will take you to well known dive sites but is aimed also to discover new ones! We will advise which certification level will be needed for the safari. All dives, and especially some wreck dives, are subject to diver's experience and weather conditions. The itinerary will be an example so if you have another special wish for a certain place in the area just let your dive guide know. Liveaboard itineraries are subject to various unpredictable changes including weather conditions. All dives and especially some wreck dives are subject to divers experience and weather permitted. Liveaboard itineraries depend on Egyptian Government, Coast Guard and/or Marine Police approval. Every effort is made but we cannot guarantee diving at specific sites. The final decision lies with the captain and guide. Safety always comes first!